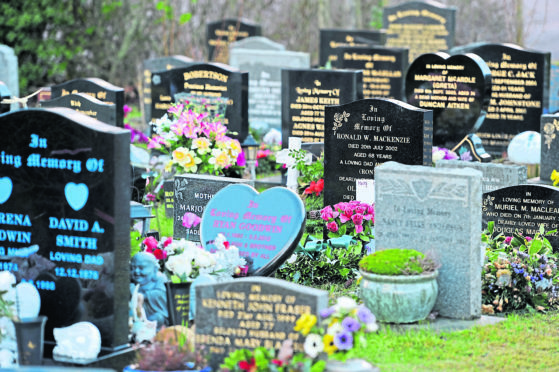 Here is the full list of figures showing the remaining capacity at all council-run cemeteries in Aberdeen, Aberdeenshire, Highland, Moray, Orkney, Shetland and the Western Isles. All data has been provided by the local authorities. Additional capacity has already been created, or is planned, at some sites. Dyce Cemetery Medieval site: 700 (estimated number of lairs that could still be created within site). Hazlehead Cemetery: 4,000 (estimated number of lairs that could still be created within site). Newhills Cemetery: 700 (estimated number of lairs that could still be created within site).